The novelist, who also wrote under the pseudonym Esther Garber, was a pioneer among female writers. Tanith Lee, the prolific author of more than 90 novels and nearly 300 short stories in the science fiction, fantasy, horror, young adult, historical, and mystery genres, died Sunday, reports sci-fi website Tor.com. She was 67. Although Lee was heterosexual and married to author and artist John Kaiine, much of her fame was attributed to her award-winning fiction featuring gay, lesbian, bisexual, and transgender characters. Lee and her husband lived in the southeast of England. In 2010, Lee channeled Esther Garber, a lesbian, and her fictional brother Judas, a gay man, for a quasi-historical short story, “Disturbed by Her Song.” Garber became a pseudonym for Lee. Her acclaimed 1980 book, Death’s Master, won her that year's British Fantasy Award; she was the first woman so honored. In addition to her fiction, Lee wrote several poems, four BBC Radio plays, and two episodes of the BBC’s acclaimed sci-fi television series Blake’s 7. Lee was born in 1947 to two professional dancers and developed a passion for weird fiction, sci-fi, and Shakespeare. She struggled with undiagnosed dyslexia and was unable to read until the age of 8, when her father taught her. By the age of 21, she published her first vignette, and she took various jobs, including file clerk and assistant librarian to support her work. Her first published novels were children’s fantasies, The Dragon Hoard and Animal Castle, published by Macmillan in 1971 and 1972, respectively. In 1975, DAW published Lee’s first adult fantasy, The Birthgrave; DAW would go on to publish more than 20 of her other sci-fi/fantasy and horror works in the 1970s and ’80s. Heavy.com noted that legions of her devoted fans tweeted tributes to Lee. We've just lost someone I greatly admired as a person & writer. Terrible news, such a hard year for these departures. 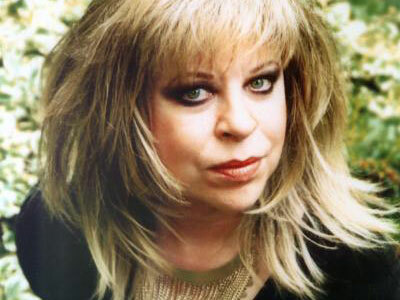 Tanith Lee, RIP. When I was a baby writer, I imitated Tanith Lee. I so wanted that kind of lavish narrative voice. Obviously I stopped, for she was peerless.